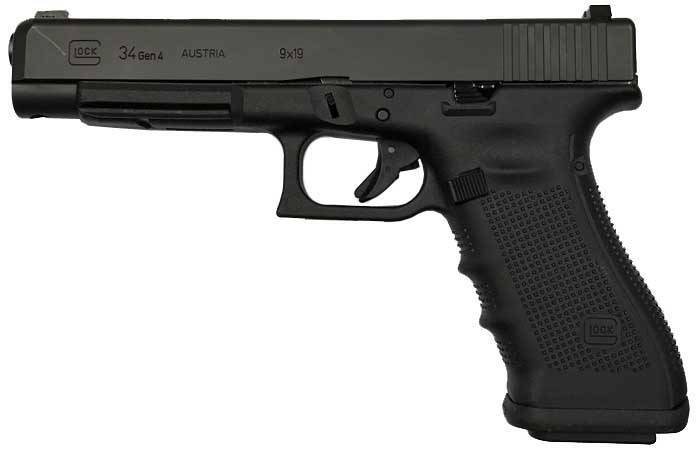 Tactical/Practical Glock is the G17 extended to the overall length of the Government sized 1911 pistols. Adjustable sights. Multiple back strap design. Gen4 Rough Textured frame. Dual recoil assembly. Reversible magazine catch. Glock accessory rail.